Victoria is full of romantic possibilities and endless lifelong memories. 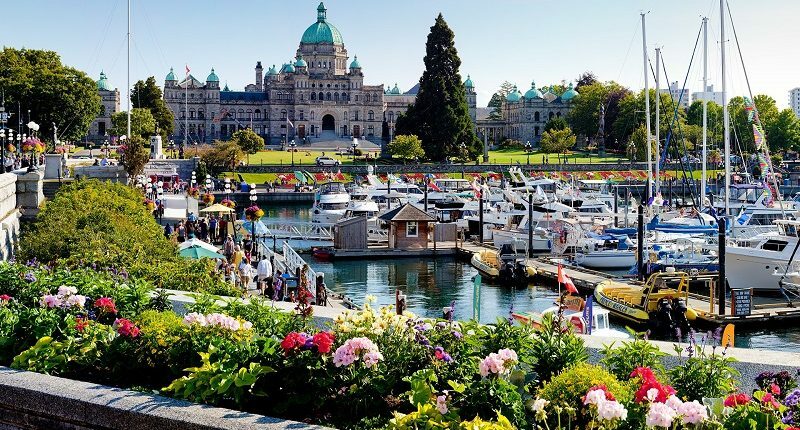 When it comes to romantic cities in Canada, Victoria, BC consistently tops the chart as the #1 city of love. These Victoria romantic dates are waiting for you and your special someone! 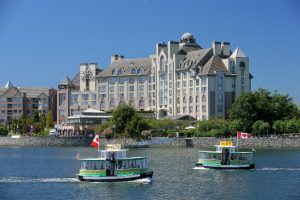 Step into a Victoria harbor water-taxi for a tour of the inner harbour and get dropped off at Fisherman’s Wharf. Take in its colourful boathouses while enjoying the island’s best fish and chips dock side with your significant other. Is your romantic heart feeling a little more adventurous? 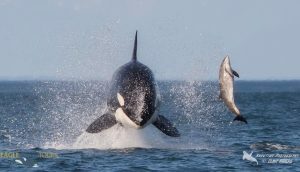 Take a whale watching tour for an unforgettable up close and personal experience with the resident orca whales. Eagle Wing or Prince of Whales are great options for a spectacular marine wildlife adventure. Take a walk along the beautiful Colwood waterfront at the Esquimalt Lagoon for a romantic evening with your favorite person. On Fridays and Saturdays there are multiple food trucks on location with live music. See the full schedule for a list of musicians and food trucks scheduled with more to be announced. 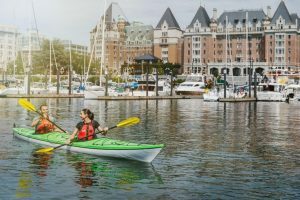 For even more romance on the high seas, slip into a double kayak and glide across the ocean waters enjoying Victoria in a whole new way together. Check out Ocean River Sports for rentals and adventure tours around Victoria. Victoria is filled with world class full service spas throughout the city. There is nothing quite like relaxing the day away with a special someone than an afternoon at the spa. 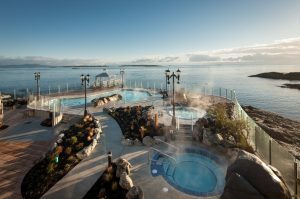 Oak Bay Beach Hotel & Spa in Victoria has quite the view! How about a mountain top spa? Another great option is the couples package at Santé Spa on Bear Mountain, only 11 km’s away from Pacific Landing. Experience the tranquility of the Hatley Park estate and enjoy a guided walking tour that will take you on a 1-hour journey to share the significant history. 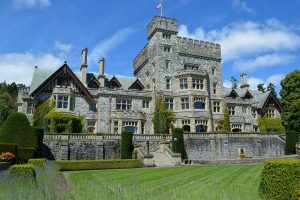 If you have never been to Hatley Castle but it looks oddly familiar, It is likely because it has been featured in a few blockbuster films like X-men and Deadpool. There’s so much explore at Hatley Park; admire the Japanese, Italian and Rose formal gardens or take a nice stroll through the 15 km’s of old growth forest with your special someone. 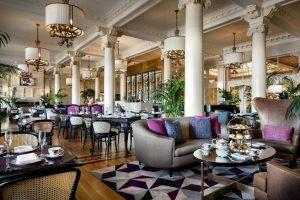 Tea at the Empress is among the world’s best unique tea experiences. You simply can’t come to Victoria for a romantic getaway without enjoying tea for two in style. Lobby Lounge will be serving a Royal Wedding Afternoon Tea in celebration of the regal nuptials all summer long. Buckle your seatbelts and get ready to take off on an ocean runway. 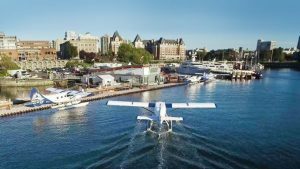 Harbour Air offers 20 – 45 minute aerial tours of one of the most beautiful areas in the world. Take in the Olympic mountains and the 360 degree ocean vistas. This is a romantic adventure you won’t soon forget! 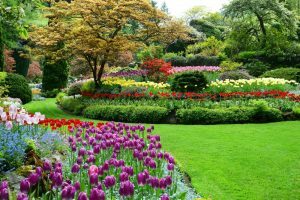 Buchart Gardens is one of Victoria’s perennial attractions. You’ll be saying “wow” when you experience the Summer: The Rose Garden, evening entertainment, subtle night illuminations, the Saturday firework show, and boat tours to name a few of the delights. Victoria is a beautiful city full of history, romance and amazing views. There is a reason why the city is in high demand for folks from all over Canada looking to make it their home. Register with us today to discover a new waterfront community in Victoria’s Westshore.